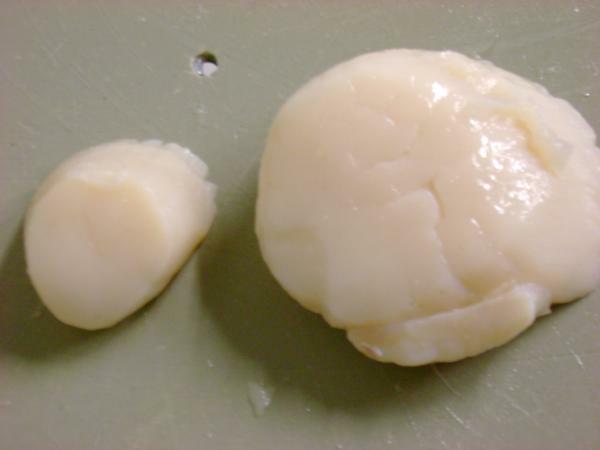 Are there any dangers when consuming uncooked scallop, either fresh or frozen? There are recipes that call for searing such that the center is pretty much only warm when done. Are there dangers? Sure...but the likelihood if you are using a nice fresh scallop are pretty minimal. No more danger than eating any other type of raw/rare fish I would imagine. I purchase 'Day Boat' scallops from Browne Trading and when they arrived they are at most about 48 hours old. At that point we consume them as sashimi. I purchase a gallon can, so the rest are frozen and after that only cooked but to a warm center, no problems. Most scallops that are not sold as 'dry pack' are bathed in a chemical bath and I would not consume those at all. Occasionally, I have had the opportunity to purchase in the shell and consume lightly cooked. So to answer your question, unless from a source that you know of 'Day Boat' or in the shell, I would avoid raw consumption and would not fully cook. I am a fish purveyor, and funny Budrichard mentions Browne... as i work for one of their main competitors... Almost all scallops available to the general public in most of the United States will be WET scallops (soaked in Tripolyphosphate which is a salt solution) Doing this will add weight to the scallops, as well as causing them to look plump and shiny. "dipping" the scallops results, cooking wise, in water leaking out as you sear it or cook it however you do, as well as keeping it from getting a good sear. Wet scallops... i wouldn't recommend eating, however they have been salt treated, and some are actually well done, however don't take the risk unless you know what your doing. Just to make sure I understand you correctly (and before I start hyperventilating), all of the scallops that are sitting in a mass grocer's case have been treated with this chemical salt solution? Does it help to rinse them before cooking, or does the solution permeate the scallops throughout? Keep in mind that the shellfish toxins he mentions are poisons, not pathogens. They're not affected by cooking. So the issue isn't raw or cooked; it's 100% about trusting your purveyor. Also agreed that Wholefoods is not a trusted seafood purveyor. I like the produce and the deli counters, but that's some of the sorriest looking fish I ever lay my eyes on. Aren't wet scallops required by law to be labeled as such? No, scallops do not need to be labeled. It is not required by law, however shellfish is usually tracked via strict HACCP (Hazzard analysis Critical Control Point) guide lines that require places that carry shellfish to govern how the product is labeled stored, also harvest locations, and harvest dates. As for the earlier hyper ventilation, yes almost all scallops the general public will see will be Dipped. Unless you live in a port town that is near scallop beds... eg California or New york, or Mass, you will probably not see dry scallops in your stores. Many higher end restaurants nowadays will import seafood, so it is possible to get dry scallops in restaurants. But if Wholefoods doesn't have dry scallops... would your neighborhood store? Would frozen scallops be any better for little cooking? If you can get your hands on some of the Nantucket scallops you're in for a treat. I just got some yesterday as they're local to Plymouth, and only in season for about a month. 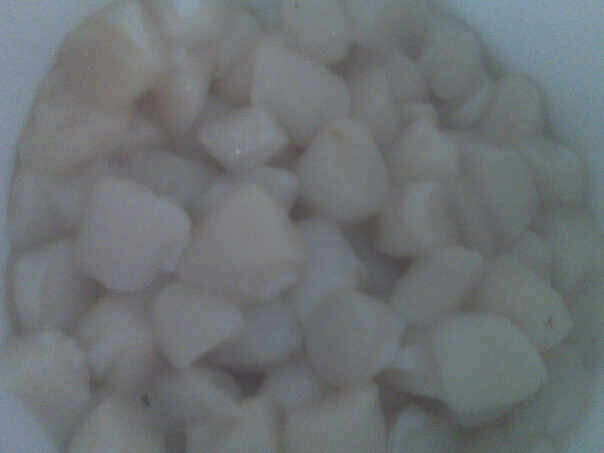 These are scallops like no others, the sweetest I've ever had. And crazy expensive at $28.99 a pound. In terms of taste and overall quality, I can't argue with what has been said so far. However, given that almost all modern recipes call for a barely cooked center (with a number of raw or pickled recipe in this lot) and that most people eat wet frozen scallops, I would assume that they are relatively safe to eat raw... I certainly ate my share of these scallops on the raw side and although I was not always satisfied of the culinary results, I never suffered from any food borne disease. Scary thing about frozen seafood is, often times the reason for freezing the seafood is that, its about to go bad. Alot of fish companies will freeze certain products just before it goes bad in an effort to sell it later and still turn a profit. As for cooking frozen, well yes of course you can, and eating them semi raw is no problem. The real issue is proper cooking, its not as easy to get a proper sear onto a frozen scallop, and often times a scallop will loose alot of its water after thawing and cooking, reducing the size, and causing the scallop to be alittle rubbery. A technique i learned from Mario Lohninger the chef of Silk and Micro in Germany is to score the scallops, by that i mean do a cross hatch so 2 cuts lengthwise and 2 cuts sideways and then searing them in a hot pan. It will make the scallop seem more tender, as well as help with carmelizing the scallop. I would add that the worst frozen scallops cannot be seared properly at all. 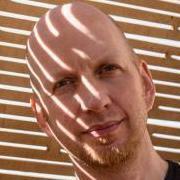 It's a pleasure to read the Posts by SeanDirty. He knows his scallops. I have found in the last 5 years or so in the midwest, more and more upscale stores are indeed labeling thier scallops, dry or wet pack. I can consistantly get Sea of Cortez giant scallops in dry pack, just about as good as from Browne but I don't prepare them as sashimi simply because i don't know the history. Nantucket dry pack show up in season at one purveryor in Milwaukee and are exquisite. 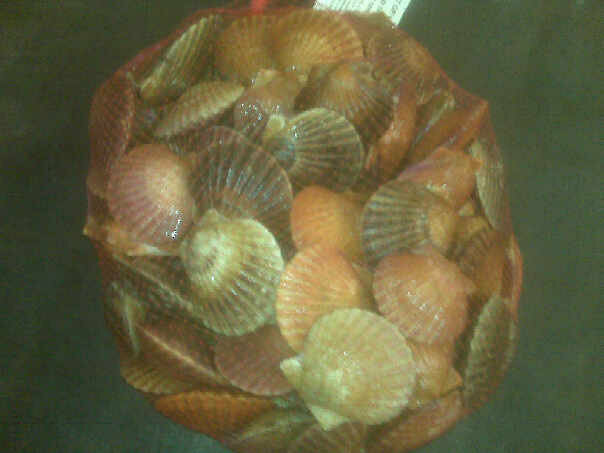 We also order Taylor Bay scallops by the bag full in the shell. These are mostly consumed raw just like littlenecks and have the added benefit that they are very easy to open. I have never eaten a frozen scallop or IQF, so I can't help you there except to comment, that the Day boat we freeze are very good months later but we still don't consume them raw after freezing. Taylor bay pic will be up tomorrow. 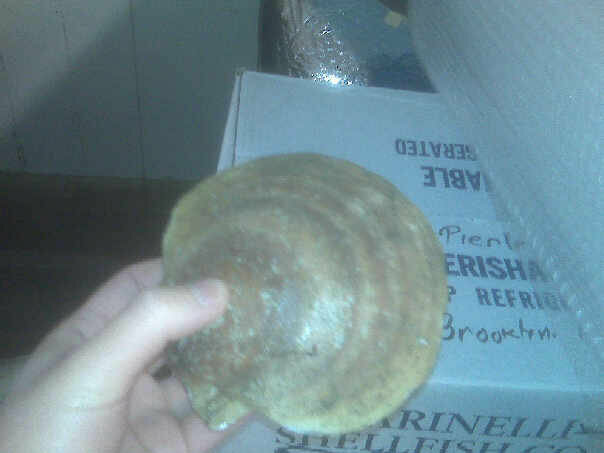 About 3 months ago my purveryor in Milwaukee had live in the shell at $12.99/scallop. Excellent, I also cook the mantle along with the roe. It seems a shame to have to toss that overboard in some places. My god 12.95!!!! We sell ours at 3.95p# and our quality is backed by the top chefs all over the country... We are even promoted in the F laundry cookbook... :-) if you want to see If we would be a good fit for your restaurant, send me a PM with a # I can reach you and we can talk some biz. Sean, do you sell retail? Or through any NYC retailers that you recommend? As for fish companies i could recommend in NYC... well i'd hate to say go to grand central station, as i hate the company that sells there as we have had beef... but they do sell it. And generally its a convenient area... so Grand Central Market. Sad to hear you have problems with them at Grand Central market. I've gotten the most consistently good seafood there of anyplace in the city (there are lots of places I haven't tried, though, so this is from limited experience). How do farm scallops compare to wild ones? I tend to prefer farmed mussels to wild ones at least because they tend to be clean. I also believe the harvest of most scallops is quite bad for seabeds (diver harverted scallops being the exception)... are farmed scallops better for the marine environment? As for dredging... As with any large industry dredging is a necessity, yes it's bad for beds, but they keep stringent harvesting guidelines... But in the end yes it's bad. As for diver, well that's a term thrown around like organic. You really think some guy is out there underwater for hours and hours... I couldent imagine how many scallops each diver could even provide. I'd imagine if he supplied at least 3 restaurants daily that would be amazing.